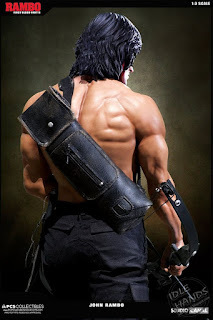 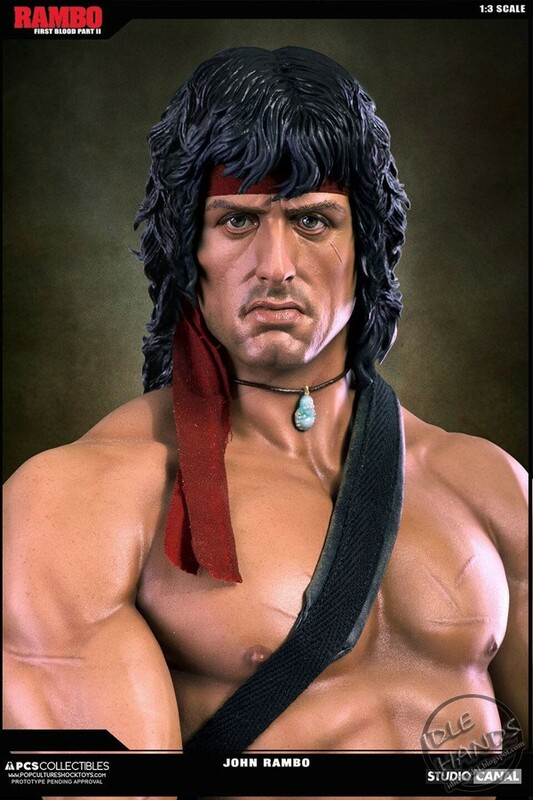 First Blood introduced the American public to John Rambo, a decorated Vietnam War veteran forced to use the skills he acquired in the war to defend himself from a brutish small town police force. 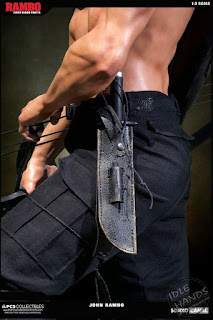 The films popularity spawned several sequels, solidifying Rambo as one of the biggest action heroes of the decade. 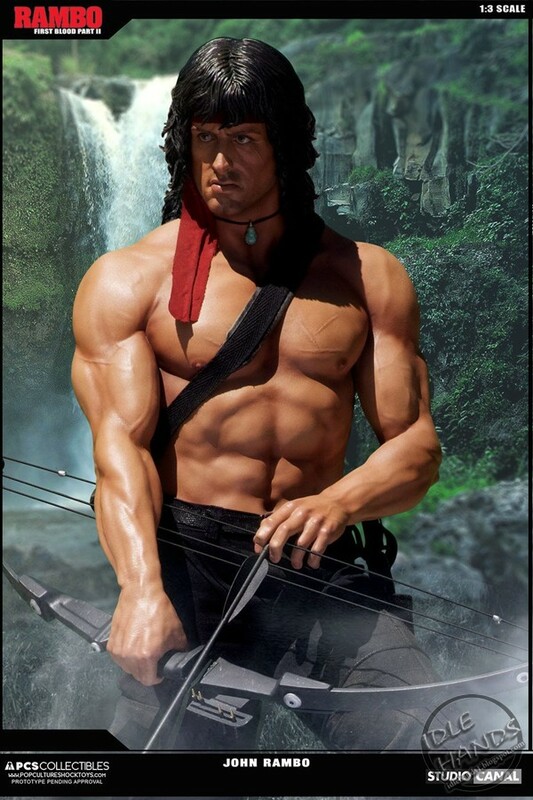 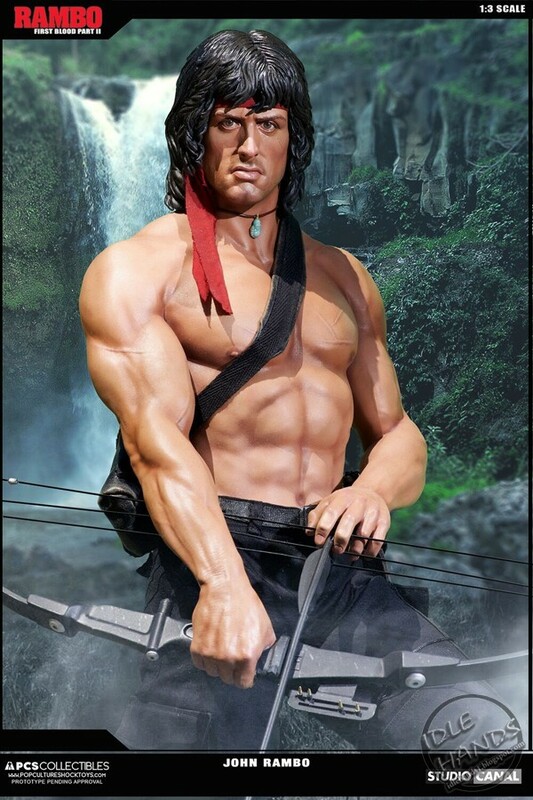 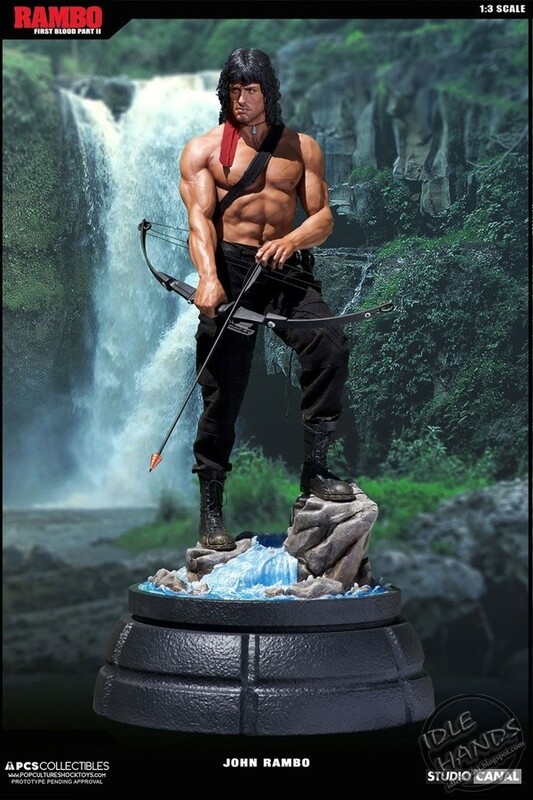 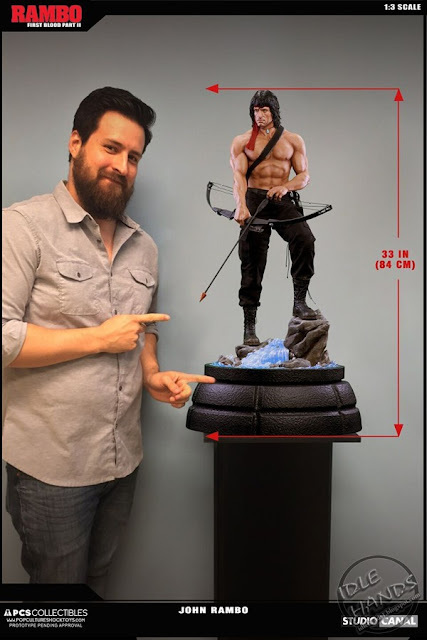 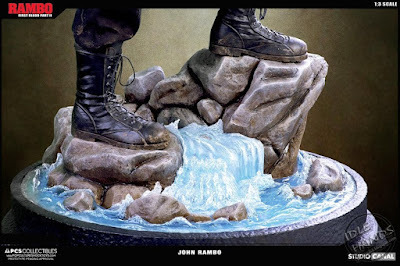 Now, PCS Collectibles is proud to announce our Rambo 1:3 Scale mixed media statue. 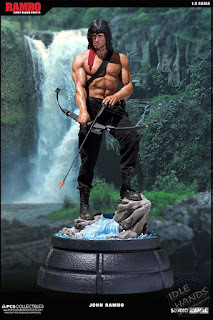 - Includes hand crafted polystone figure with mixed media costume, metal bow and knife, translucent water effect base and Certificate of Authenticity.